products from a trusted provider. We want you to trust us and the products we offer, so you can read from here what, why and how we are producing and offering. Believing that most people want to try different blends of tea at different moments, we focus on offering a few different tea-sets. Our signature product will be the yearly "Renegade Collection", that will be released each autumn and that will include all the teas we have produced during the given year. It is also possible to buy a single package of a specific tea, but we would like to emphasize that the shipment cost might be sometimes unreasonably high for very small quantities. Following the highest quality standards as we grow and process our teas, means that our products are generally more expensive than the average machine-harvested mass production teas you can often find in your regular supermarket. All of our plantations are grown chemical free, without any pesticides or concentrated fertilizers. The fields are nested within the lower hills of the Caucasus mountains, some 75-100 km inland from the Black sea. Locations were strategically chosen to ensure that the tea bushes would be exposed to slightly different climatic and soil conditions, so we could produce teas with different characteristics. Our 3-4 year goal is to produce 12-15 different teas each season, a few variations of each sort – black, green, oolong and white teas. Occasionally we will also mix the base teas with other natural ingredients, like herbs or berries, to create different seasonal flavors. However, the picture in 2018 was completely different. 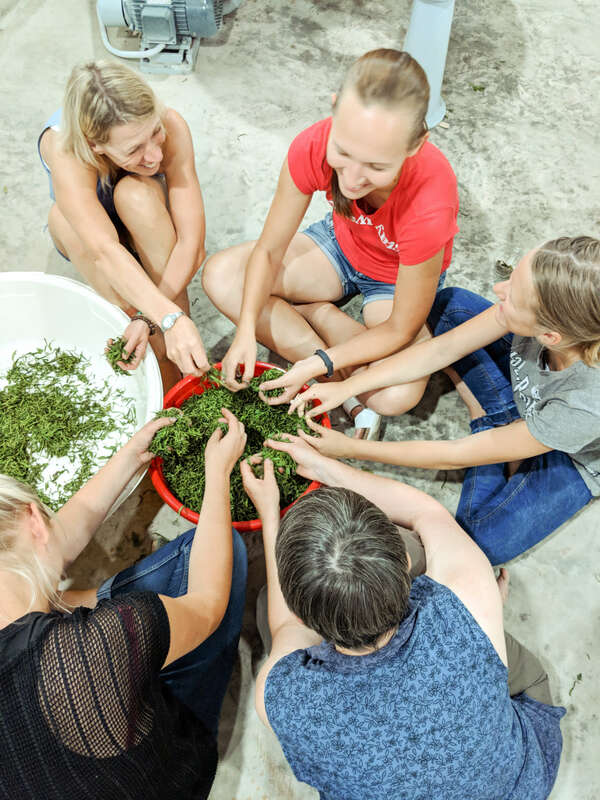 Although the quantities were very low, we made ca 45 different versions of tea, since we were only learning the basics and testing the processes with ​each batch. So, only at the end of the season, we found a couple of formulas which we repeated a few times and which we want to make again in the next season. 2019 will still also be a year of testing as we are trying to unify the processes and as the amounts, we get from our plantations, are still very low since we slowly nurture the plantations back to life and don’t want to rush the yield of the plants artificially. "Winning the awards is not something that really motivates us, we want to experiment and learn. " All Renegade teas are produced in our own small factory, which is located within the Rioni Estate and is maximum half an hour away from our other plantations. The teas will be packaged on site, immediately as the drying is finished and the teas have had time to mature a bit, to ensure maximum freshness when the tea reaches you. As we make decisions about production, our focus is slightly different from most tea companies. We want to create different new tastes, we want to experiment and learn - together with you. Every season we hope to find out something new about our own Estates and about the Georgian tea. We also want to take into account your preferences and suggestions. We truly hope that you want to be a part of our journey!